Jibhi is a small hamlet in the Tirthan Valley of Himachal Pradesh. It is a picturesque place known for its nature treks. 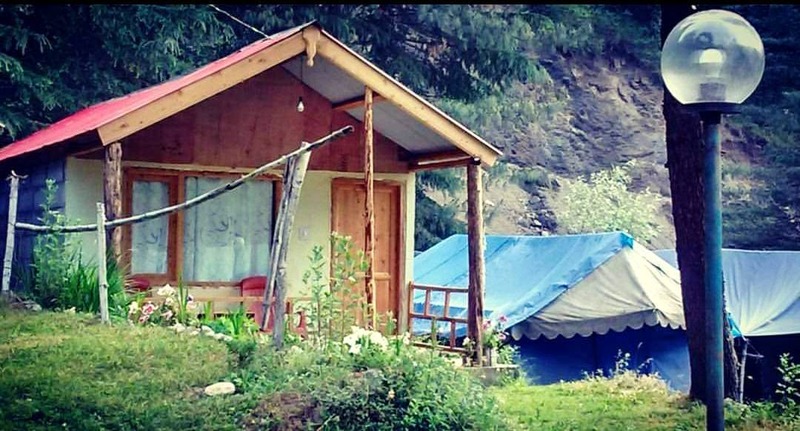 One of the places where you can decide to stay in Jibhi is the Jibhi Camps and Cottages. The rooms are comfortable with a view of mountains and cost around INR 1,000 - INR 1,500 per night. They also have a provision for camping near a little stream. Mr Sandeep, the owner, is a very friendly and patient man. He can arrange for your transportation, treks to Jalori pass, Cheni Fort, and can also arrange for fishing in the fishing season. This place is a basic guest house without any frills and fancies, but everyone is welcoming and hospitable.